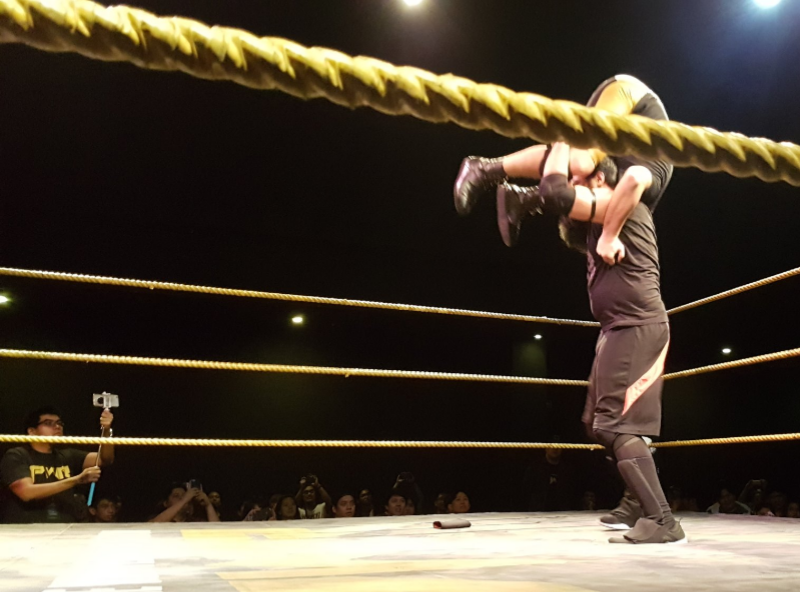 [FULL RESULTS] PWR Live: Sugod! 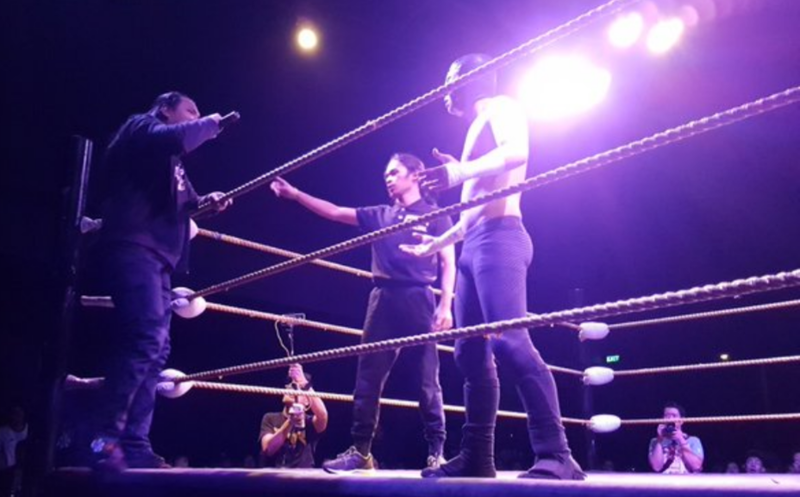 - Smark Henry | The voice of Filipino wrestling fans | Philippine Wrestling Revolution, WWE, and more [FULL RESULTS] PWR Live: Sugod! 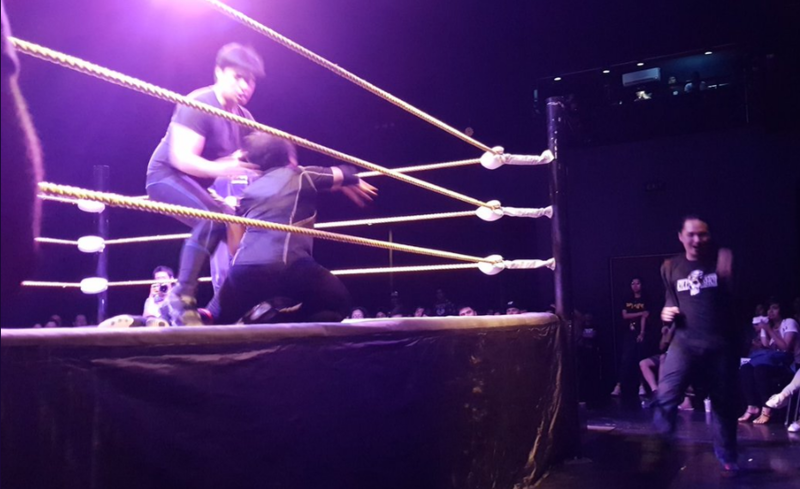 [FULL RESULTS] PWR Live: Sugod! 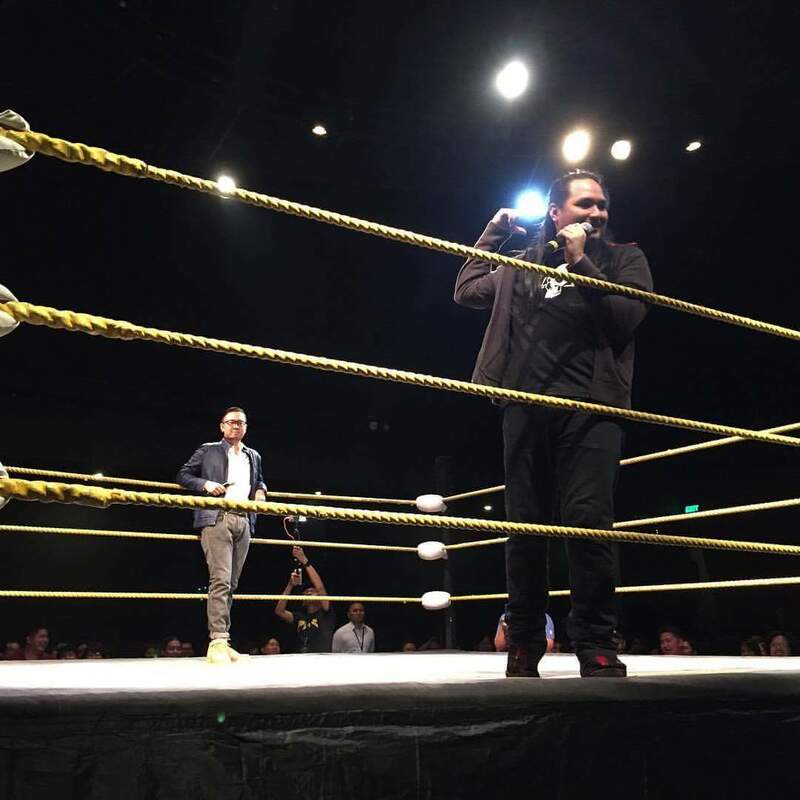 For the first time, the Philippine Wrestling Revolution came at you live from the Power Mac Center Spotlight in Circuit Makati. If you couldn't make it, we've got all the match results from the show. This was a fast-paced encounter between two men trying to establish themselves on the local roster. Revo-Ranger took home the victory with a Revo-Kick. Vintendo came incredibly close to snatching the win from the scrappy McKata after landing his High Score chokeslam. The street-bred brawler fought back with a Throwback and Attitude Adjustment to snag the three-count. Mr. Sy came out to acknowledge the Revo-Nation and an anonymous donor for helping support PWR through its tough times. Sebastian came out in rebellion of his suspension to run down Mr. Sy for his seeming favoritism in recent months. Sy responded by firing the former PWR Champion on the spot. Sebastian laughed this off, revealing himself to be the anonymous donor, and now 50% owner of the promotion. Both men agree to a five-on-five Ubusan Ng Lahi elimination match at PWR Vendetta this November. 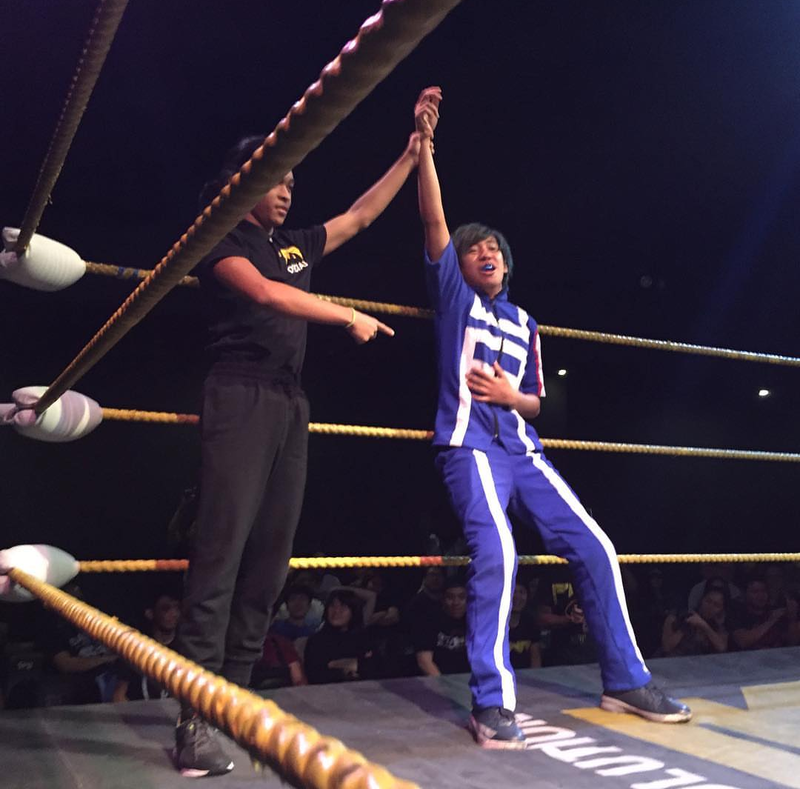 The up-and-coming Xaviera looked to be surging with confidence after making it to the PHX Championship Finals the week before. Unfortunately, he couldn't overcome the numbers game, falling to Mahaba after an Imabayashi sleeper left him vulnerable to a crushing corner avalanche followed by It's More Slam In The Philippines. The three-count was academic. Imabayashi laid out Xaviera with a Senketsu—fresh blood—after the match. Quick squash that saw the All Out War Champion absolutely decimate his good-looking mestizo foe from the opening bell. A top-rope coup de grâce known as Six Feet Under sealed the deal. But Apocalypse wouldn't let up. An after-the-fact Death Bell before exiting the ring left Brad Cruz in ruins. Both PWR rookies put up an evenly-matched fight, with Bolt's speed and wile canceling out Trudeau's size advantage. Jake De Leon finally got his win back from Sinnsyk after his embarrassing first-round elimination at the PHX Championship Tournament. Sinnsyk was going for a Muscle Buster, only to fall to a sneaky inside cradle for the loss. Sinnsyk was incensed. He continued to lay into JDL after the bell, nearly decapitating him with a running lariat followed by a thunderous Muscle Buster in the middle of the ring and one more for good measure into the apron. Sebastian was throwing his weight around as new PWR part-owner, interfering freely to keep bailing Versoza out of trouble. Bax thought he has the match sewn up after blasting Versoza with The Hit, only for Sebastian to once more distract the referee. A low blow and F5—a mockery of a famous Fighters 4 Hire tactic—gave P to the V the dubious win. After the match, the injured Miguel Rosales came out to save his partner from a beatdown. Mr. Sy invited both men to join his team for Vendetta. 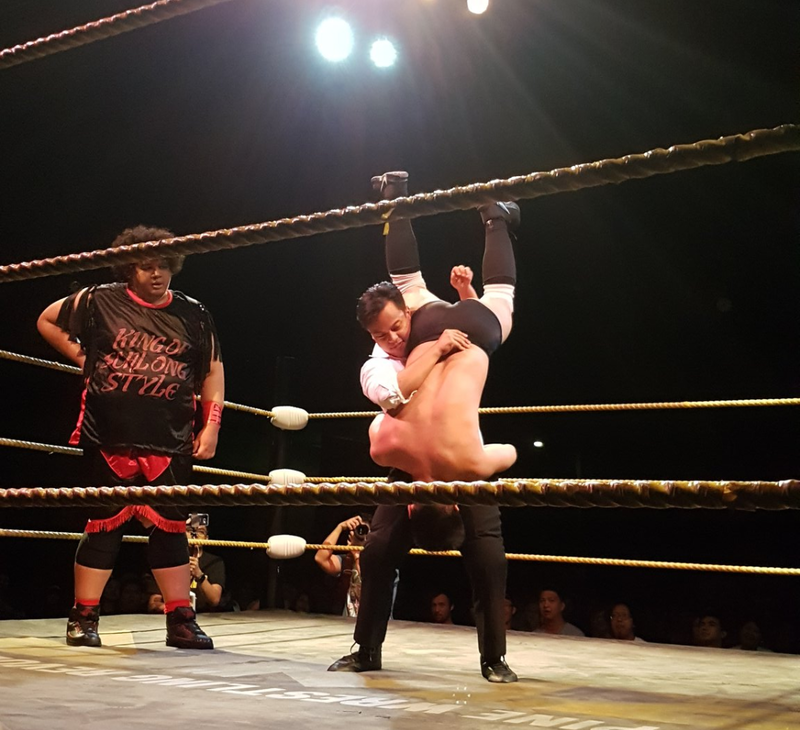 High octane match that saw all teams break out their usual greatest hits—a YOLO superkick party, Robynn's Bahala na si Batman dive, and so much more. 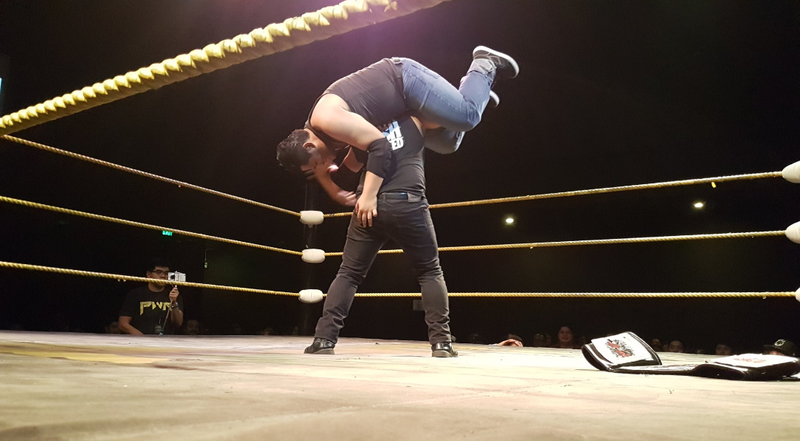 In the chaos that enveloped the action, Carleaux and TDT trapped Mh4rckie in a sunset flip-sliding lariat-Tech Noir combo dubbed The Darkest Noir for the hard-fought submission win, and the #1 contendership for the Network's tag belts. SANDATA was a heartbeat away from winning the PHX Championship after steamrolling Madrigal with an beautiful Exploder Suplex, a GTS counter into a huracanrana, and a slew of ankle locks that had the Walking Death ready to tap. 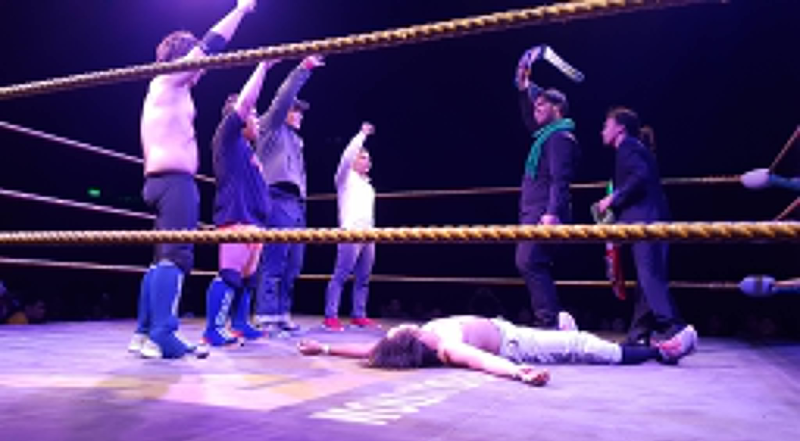 John Sebastian disrupted the match just as the Pinoy Tecnico looked like victory was his, allowing Madrigal to nail the Near Death Experience for a successful title defense. 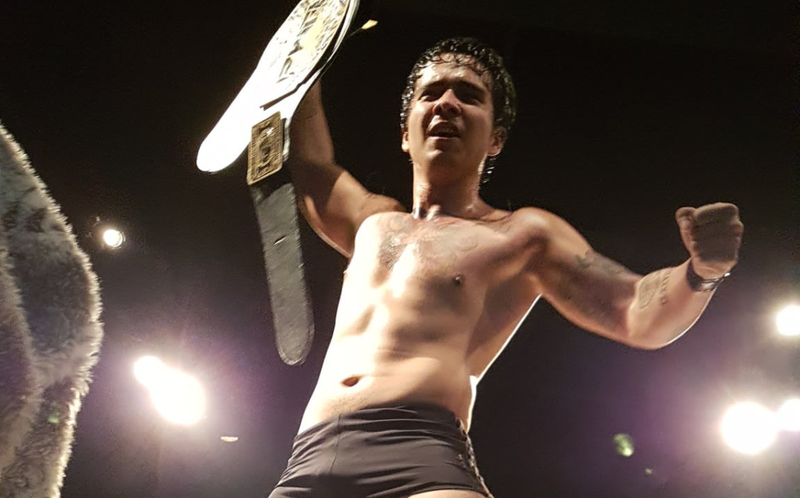 Chris Panzer joined the ranks of two-time PWR Champions with an electric conquest of long-time archrival Billy Suede and the fiery Ralph Imabayashi in a back-and-forth war that saw multiple two-counts and finisher counters. After Imabayashi was knocked out of the action with a shiranui from Suede, Panzer capitalized with a Panzerschreck on the champ, followed by an Eagle Splash for the stunning win. Mr. Sy invited Panzer to be the captain of his Vendetta team, only for both to get blindsided by Sebastian, Mahaba, Versoza, and Imabayashi. The PWR General Manager took a crushing World's Strongest Slam-knee kick combo. Mahaba pulverized Sy with a massive splash to end the show. What did you think of Sugod, Revo-Nation? Are you saddened by the abrupt end of Billy Suede's reign? And how hyped are you for the impending ten-man war at Vendetta this November between John Sebastian's team and Mr. Sy's team? Let us know your thoughts, and we'll see you next month for PWR Live: Octoberplex.